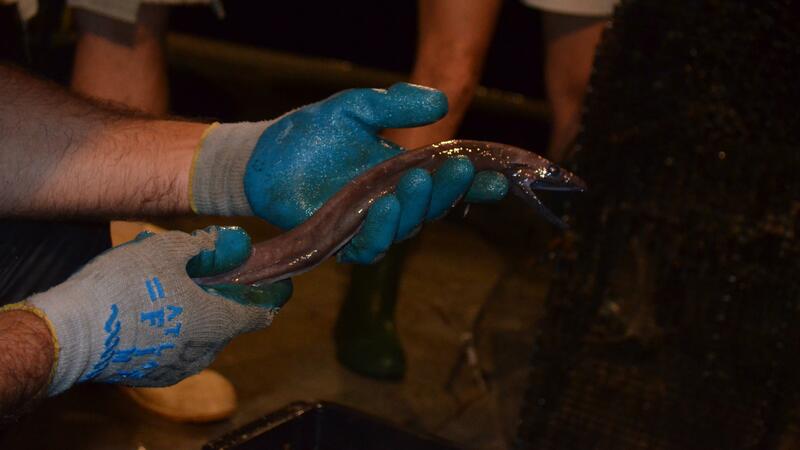 In the cold, deep waters of the Gulf of Mexico, little-known animals spend their entire lives in near darkness, far removed from our human world. 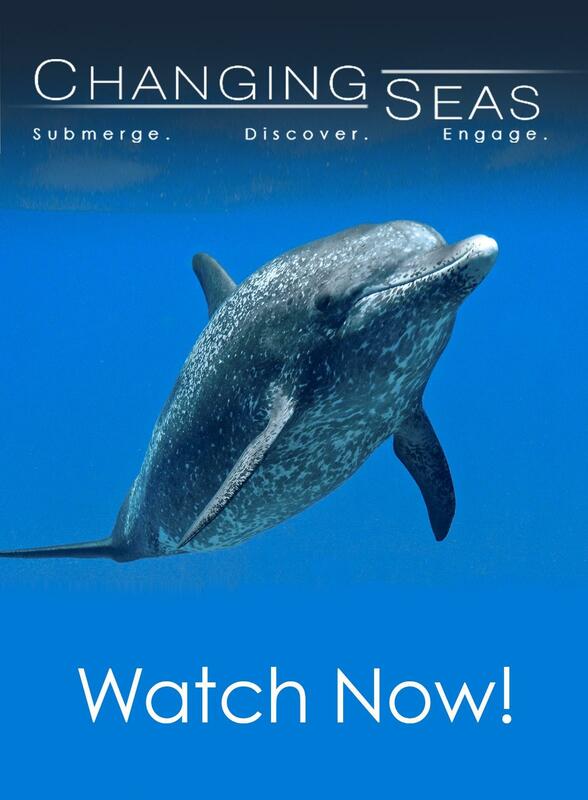 Until now, little research has been conducted on these creatures of the deep, keeping much of their lives a mystery. Then, in April of 2010, the Deepwater Horizon oil rig exploded, setting off the largest marine oil spill in the history of the petroleum industry. 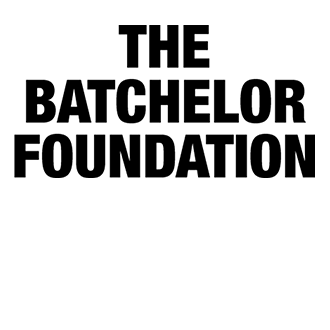 Roughly 4.9 million barrels of crude oil gushed out of the well at a depth of five thousand feet. 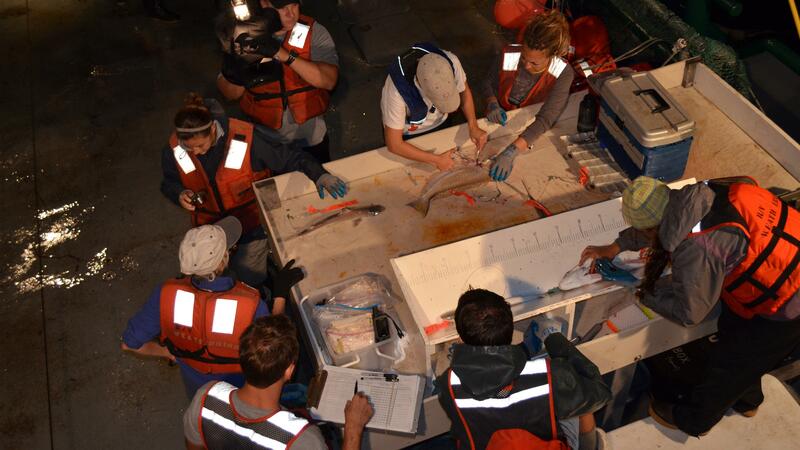 In the disaster’s aftermath, many questions arose about what lives in the deep waters of the Gulf, and how these animals may have been impacted by the oil. 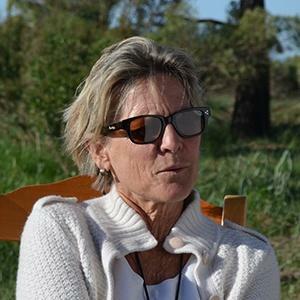 To answer these questions, scientists from the Deep-C Consortium’s ecology team conduct regular research trips in the area. 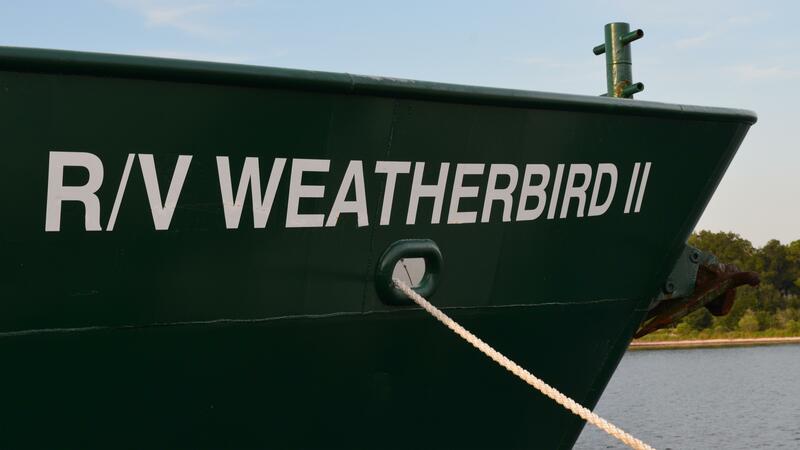 The R/V Weatherbird docked in Panama City. Cameraman Sean Hickey looks on as Dr. Dean Grubbs and Kelly Kingon prepare to deploy traps. Dr. Dean Grubbs and Dr. Chip Cotton (with net) peek over the edge of the boat to see what’s on the line. 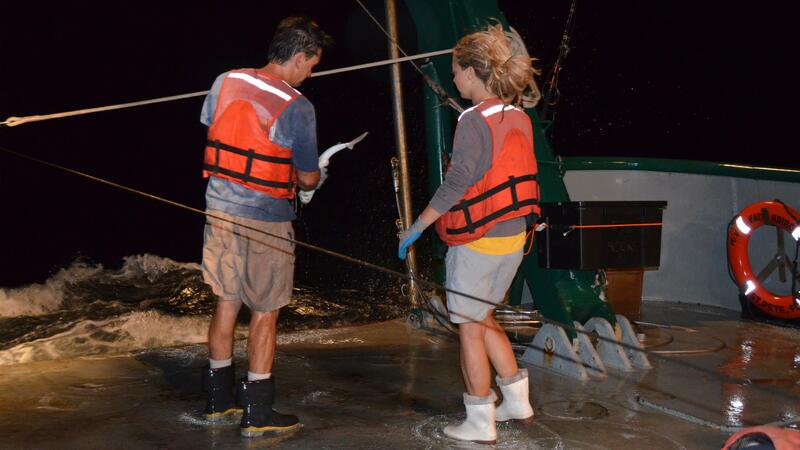 Lead scientist Dr. Dean Grubbs hands a shark to research assistant Kelly Kingon to be processed. 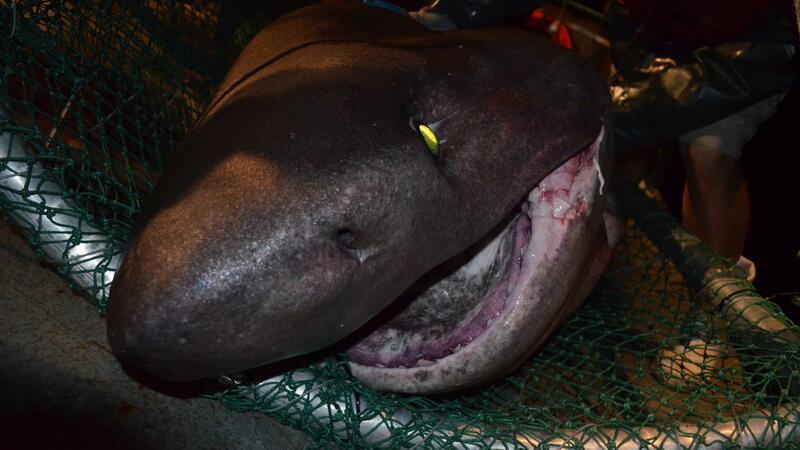 An almost 15 foot Bluntnose Sixgill shark that came up from the deep. 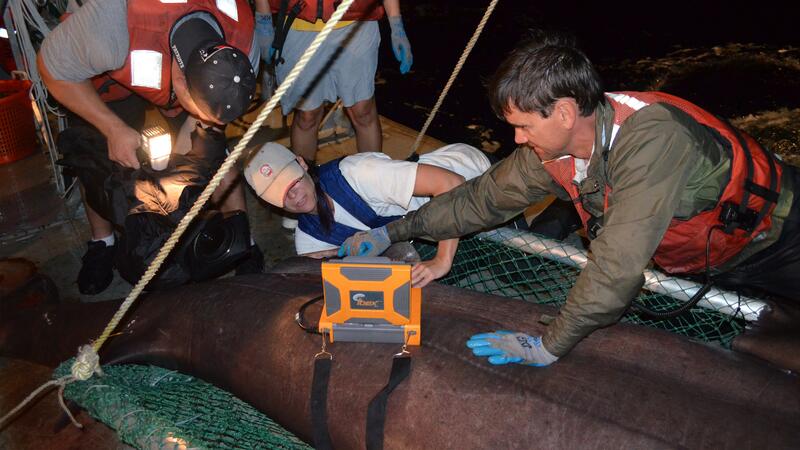 Cameraman Sean Hickey films research assistant Brenda Anderson and Dr. Dean Grubbs as they conduct an ultrasound on a female bluntnose sixgill shark. 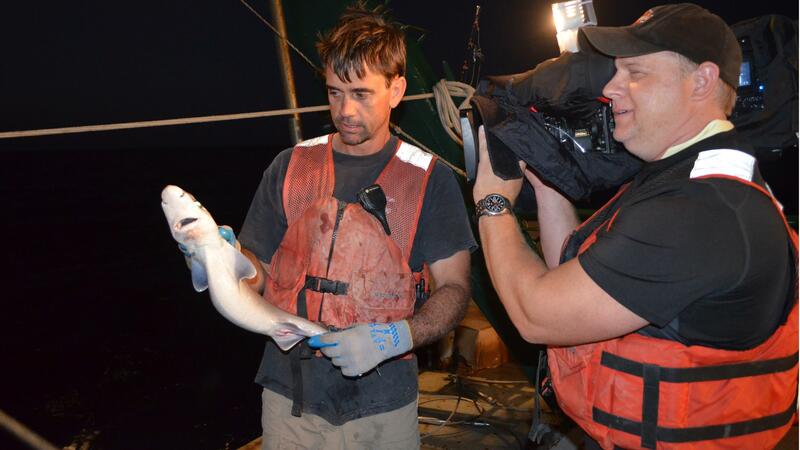 Cameraman Sean Hickey films Dr. Dean Grubbs as he is holding a deep sea shark. 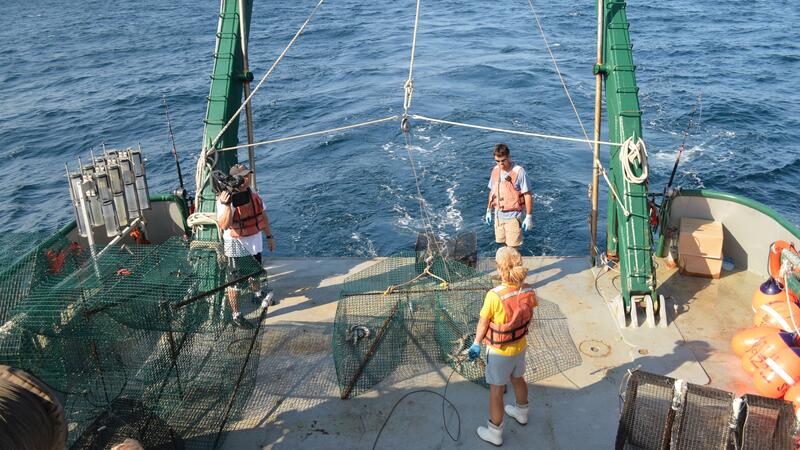 Cameraman Sean Hickey films the science team as they work up the animals that were caught. 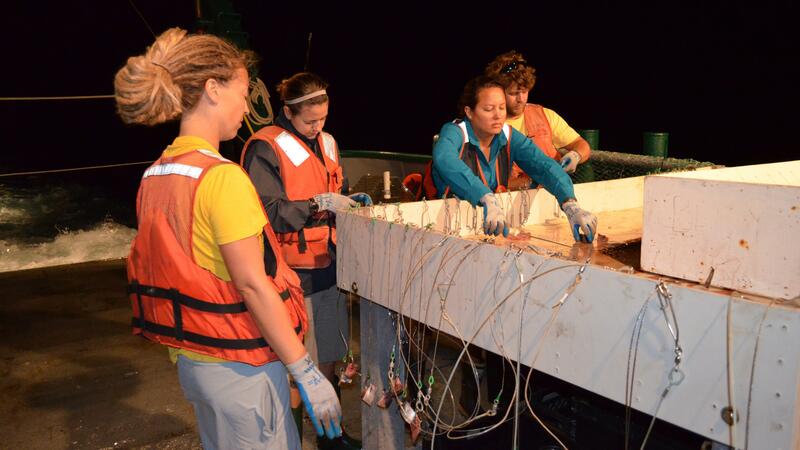 The science team prepping the hooks for the next long line. 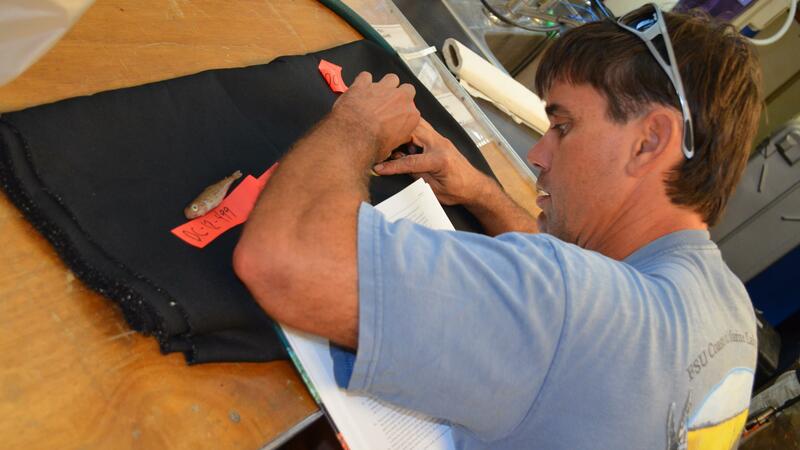 Dr. Dean Grubbs identifies a fish with the help of a reference book. 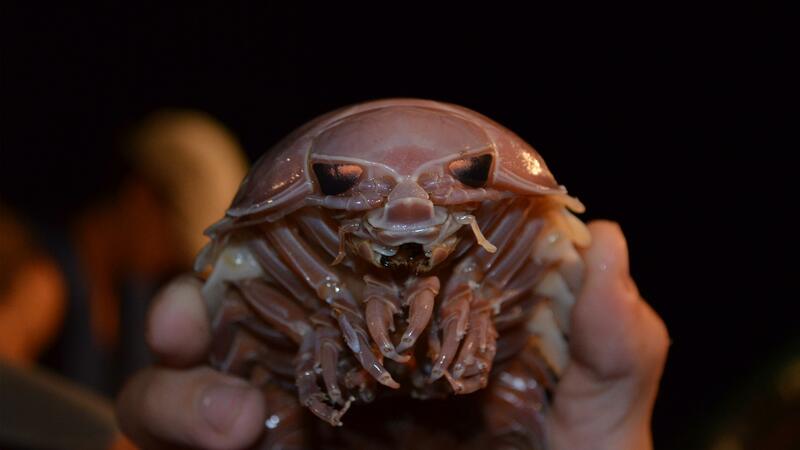 A giant isopod resembles a storm trooper from Star Wars when you look at it head-on. 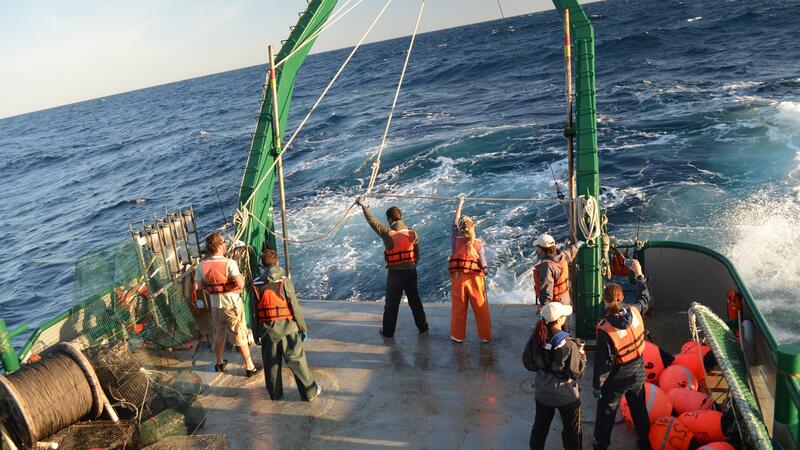 The science crew ready to haul back lines and traps. 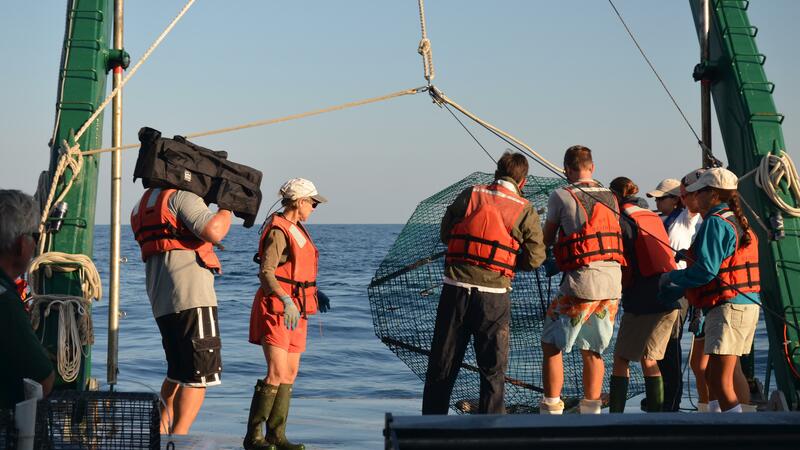 Cameraman Sean Hickey films the science team as they haul up a large trap. 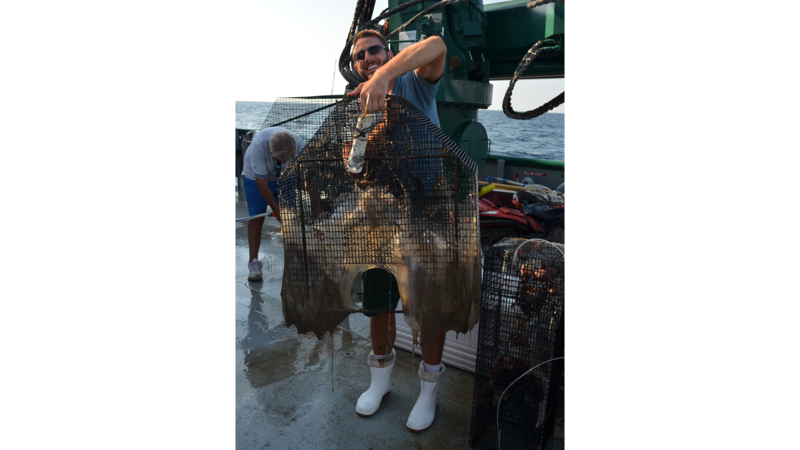 Research assistant Chris Malinowski holds up a trap covered in hagfish slime. 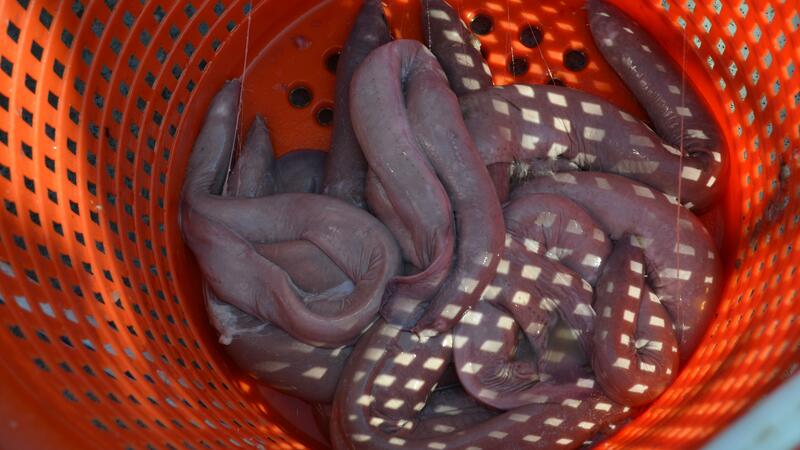 A bucket full of slimy hagfish. 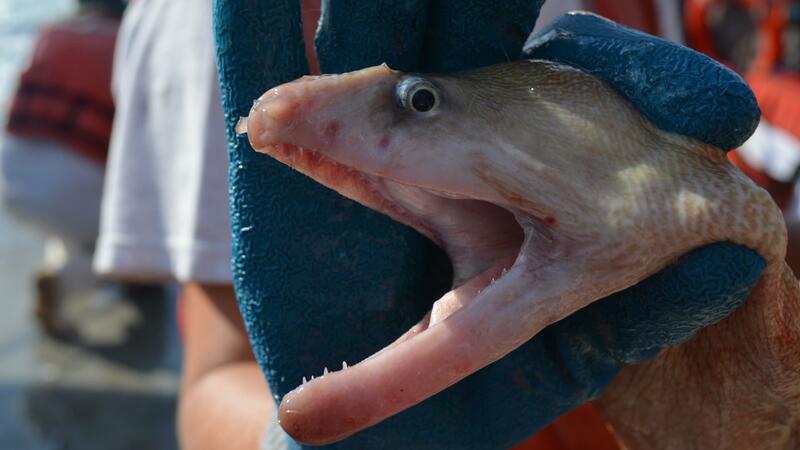 Their skin is used to make eel skin products. 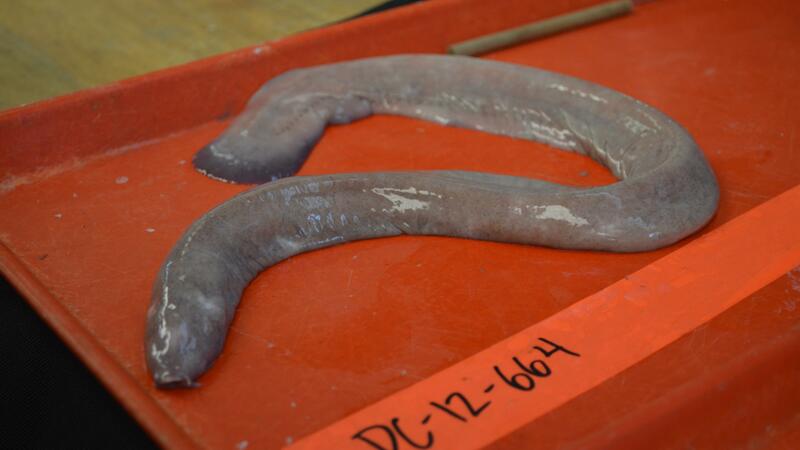 A dead hagfish awaiting dissection. 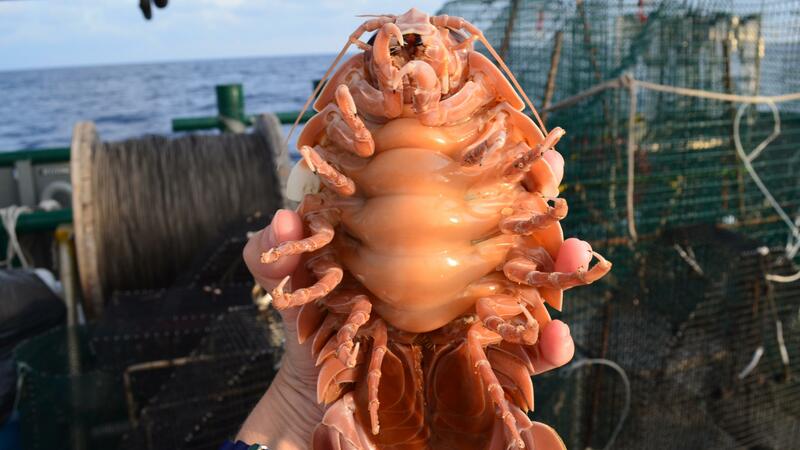 These animals are hermaphrodites, but little is known about how their reproductive process works exactly. 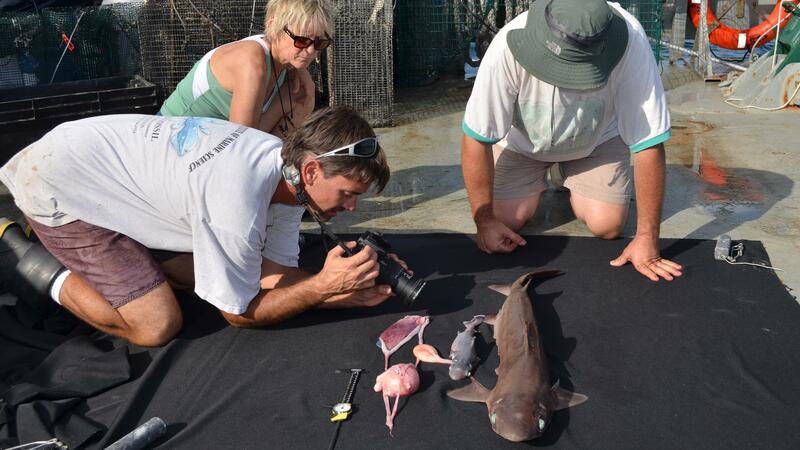 Dr. Dean Grubbs taking a picture of a female Gulper shark and its pup. 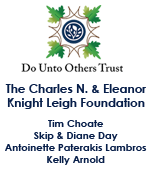 Dr. Felicia Coleman and Dr. Chip Cotton are watching. 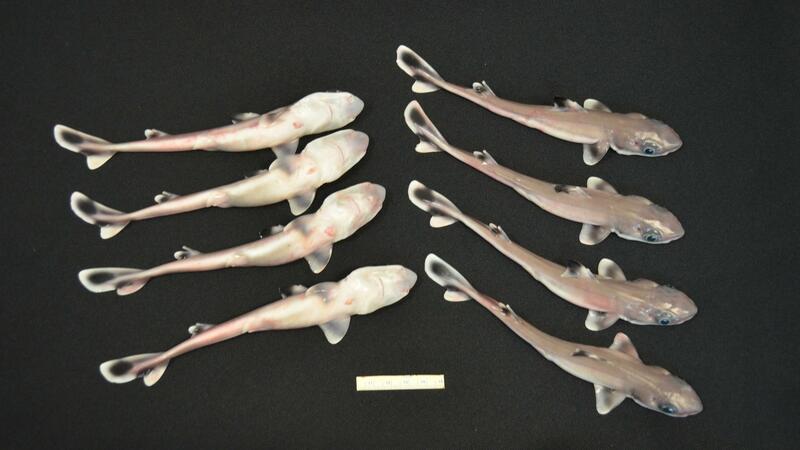 The pups of a Squalus cf mitsukurii. 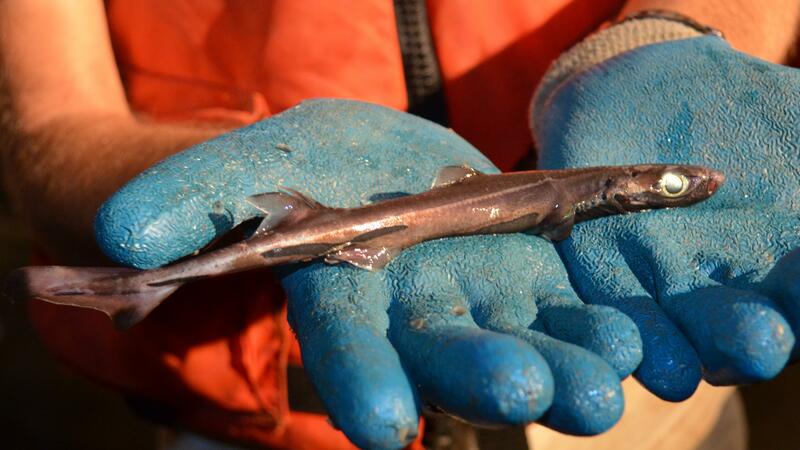 Little is known about the reproduction of this shark species. 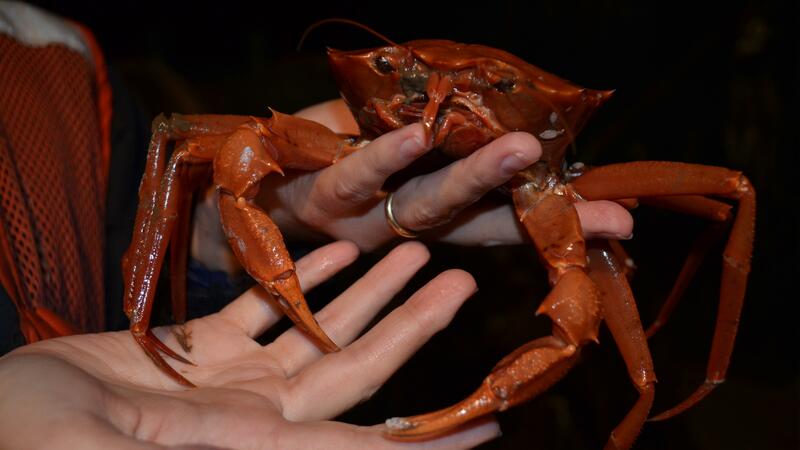 A deep sea red crab that was caught in a trap. 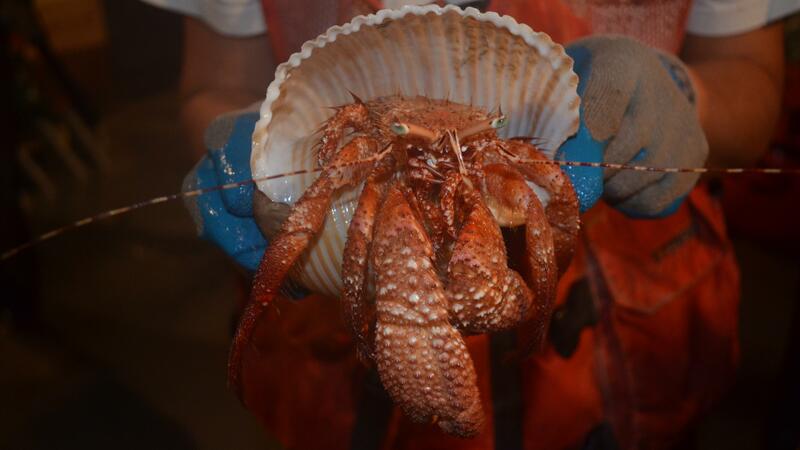 A giant red hermit crab. 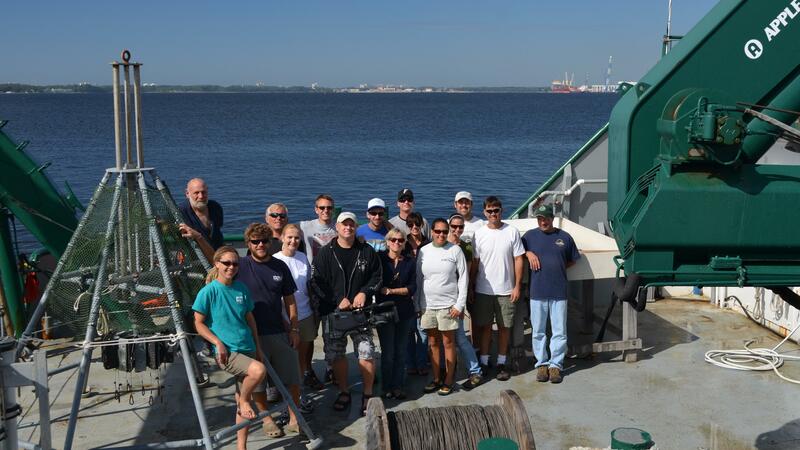 The science team, ship’s crew, and Changing Seas gang back in port after an exciting 10 days at sea. 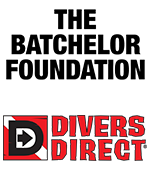 To properly identify rarely seen species of deep sea fish, scientists consult the literature and examine animals closely. 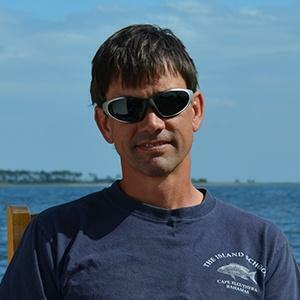 Dr. Chip Cotton from Florida State University reconstructs a fish that was found in the stomach of a shark they captured during a deep sea research expedition in the Gulf of Mexico. Dr. Chip Cotton conducts a "Show and Tell" with a deep sea hagfish caught during a research expedition in the Gulf of Mexico. 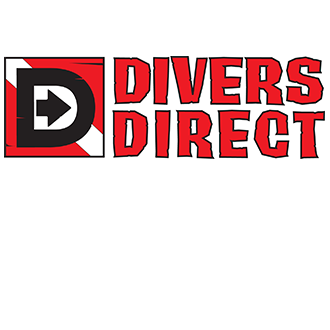 Have you ever wondered about the force of pressure in the deep sea? 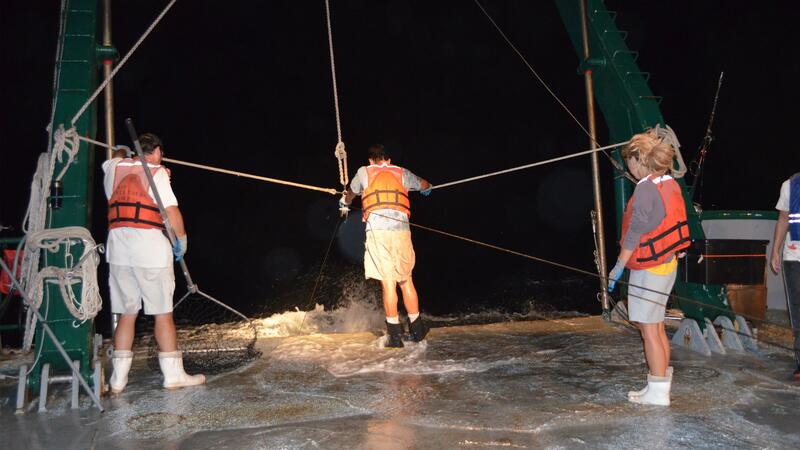 Here scientists are having some fun while conducting otherwise serious research at sea. 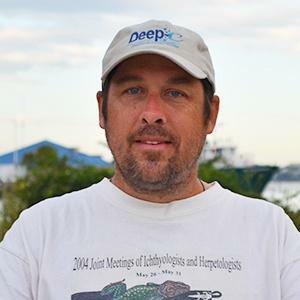 On an expedition in the Gulf of Mexico, Dr. Dean Grubbs from Florida State University dissects a deep sea hagfish. 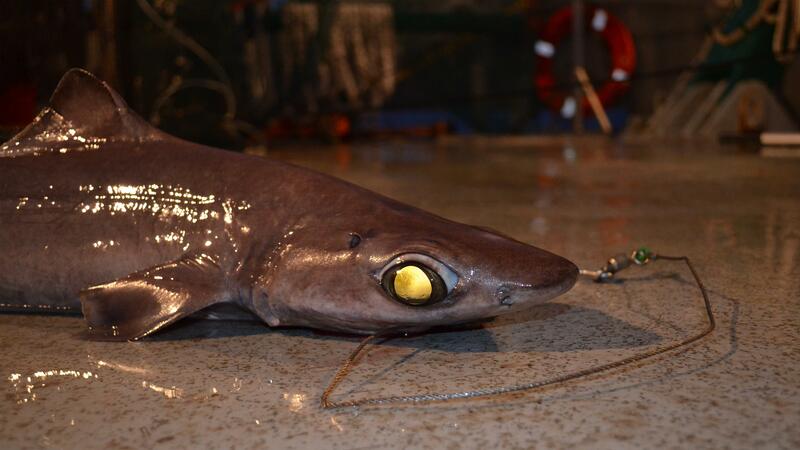 Little is known about the life history of deep sea sharks. 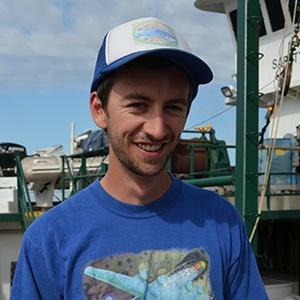 Dr. Chip Cotton dissects gulper sharks to better understand their reproductive biology. 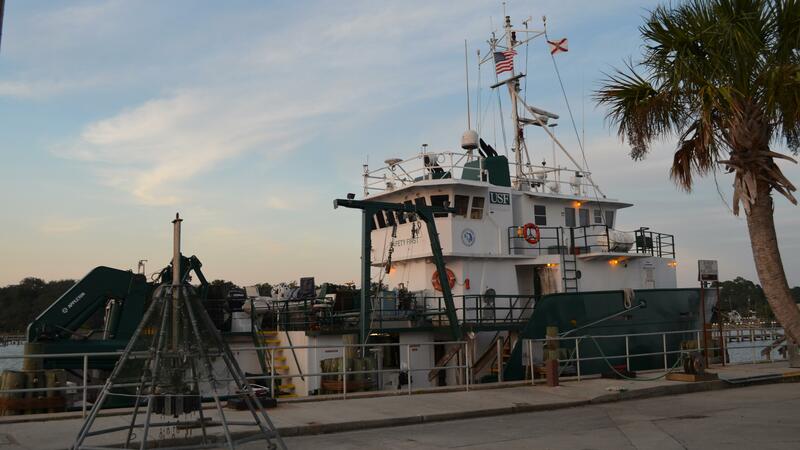 Scientists from FSU's Coastal and Marine Lab study the animals to see if they may have been impacted by the 2010 Deepwater Horizon oil spill. 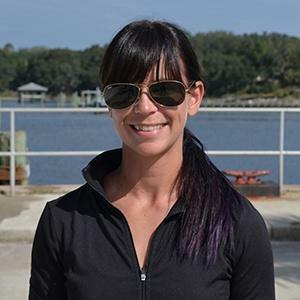 There are a variety of deep sea sharks and other fishes that occur in the northern Gulf of Mexico. 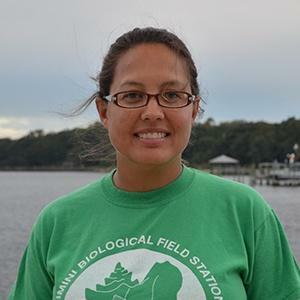 Scientists from FSU's Coastal and Marine Lab study the animals to see if they may have been impacted by the 2010 Deepwater Horizon oil spill.